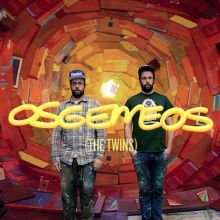 A short film about OSGEMEOS (The Twins) produced by Ben Mor. Ben weaves their work into a surreal moving portrait that feels like a dream. One 2-minute movie, that transmits part of the essence of the world of the brothers in a vision as playful as the work itself.